Whether you’re flying out of the country, driving across North America, sailing around the Caribbean or backpacking in Europe be sure to bring these essential items in your luggage! Sunscreen: regardless of where you go the sun will [hopefully] keep shining. Help protect you skin from getting sun burnt or sun damage by applying some sunscreen on exposed parts of you body (e.g. arms, legs, forehead, back, etc.). Also, try looking for sunscreen that is sweat proof or waterproof. Travelling to tropical areas, you’re most likely going to sweat a whole lot more so make sure that the sunscreen that you’re using doesn’t come off from the sweat. Now, if you’re like me and sometimes forget to put some sunscreen on your back (or other body parts), pack some aloe gel as well to lessen that burning pain. Watch: the last thing you want to do is miss a connecting flight, your train or get left behind by your ship at a port stop. Bring a watch you wouldn’t mind losing. Meaning if you don’t want to lose that expensive watch you only where on special occasions, it’s best to leave it at home. There are some inexpensive watches you can find and really, they have the same function-to tell the time. Also, make sure that your watch is adjusted to the right time difference; it simply defeats the purpose of having it if you don’t have the right time. Water bottle: At some point in your trip, you’re probably going to be thirsty so instead of buying bottled mineral water carry a reusable one. Just remember to ask if the water you’re going to fill your water bottle up with is safe to drink. Something to also keep in mind is that airport regulations do not permit you to travel with a full water bottle so empty it out before going through inspection. You can also put the empty water bottle in your checked in luggage. Baby wipes: this might sound odd but baby wipes, or facial wipes are very useful. I have gone to some places where toilet paper wasn’t available so it’s best to keep a pack of these in your bag. To help maintain the environment please use biodegradable wipes or those that have an eco-friendly stamp. 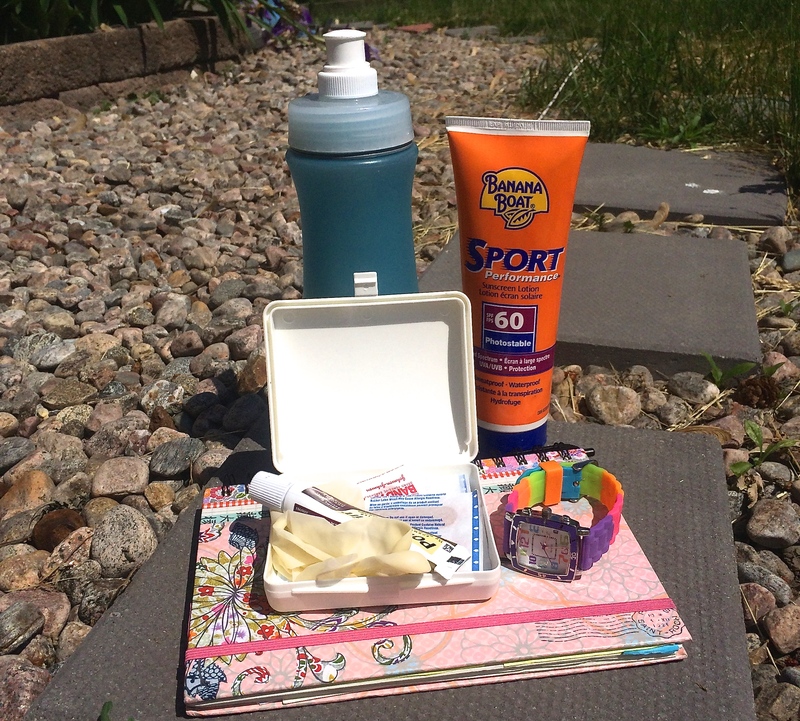 First Aid kit: I think those few years on girl’s scout rubbed off on me quite a bit. You never know when you might get injured so it’s best to keep a kit around, especially when you’re backpacking or camping. Authorized copies of your passport and contact information: it hasn’t happened to me before and it hopefully will not happen, but there have been reported stolen or lost passports. Eventually you would like to go home from your vacation and when you get to that point, make sure that you can. An authorized copy may not be the actual thing but in case you lose your passport or get it stolen you can always go to the embassy and show identification. They will help you get a temporary visa to go home with. Small notebook: for me, this serves as a travel journal. I may not write everyday but on days I feel like the most inspired to write I make sure that I have something to write on. Notebooks are also helpful for writing down addresses or restaurant names that you’ve visited. Or if you’re like one of my friends, you can use it to keep exchanged contact info from a new friend. You may have seen these items on another list before but it’s always great to keep a list in mind when packing for your travels. I know I always forget something. Have a safe trip! Leave a comment below and tell me about your great adventure!